HTC corporation today announced a new handset, HTC Desire at MWC Barcelona. 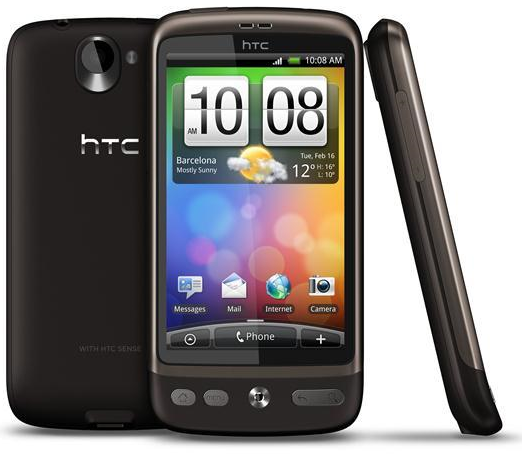 The HTC Desire is an Android based device that has looks and specs similar to Google Nexus One. HTC uses a new Sense UI over the Android OS. The very special about the updated sense UI is that comes with full support for Flash 10.0. So HTC Desire is nothing but a Nexus One with Flash and familiar user interface all HTC fans would love. On specification side, HTC desire has 1GHZ Snapdragon processor, 5MP camera, 3.7-inch AMOLED display and many other things we have seen with Nexus One. HTC Desire will be available from the second quarter of 2010 in Europe and Asia. Seems that Google has no plans to lunch Nexus One India and several other world markets any time soon. HTC has established sales and after sales services centers across different countries. We think HTC would launch Desire before Nexus in those countries. 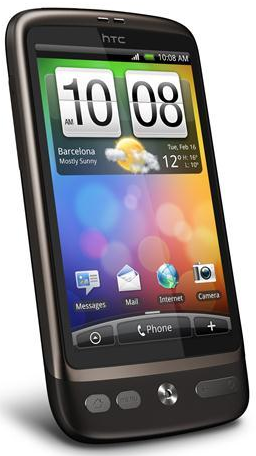 So if you planning to get a Nexus One, HTC Desire is also a good alternative choice. Moreover it has flash support in the same configuration. 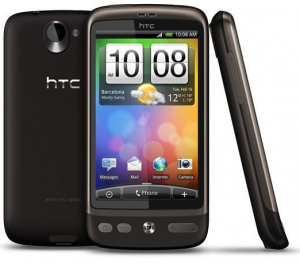 HTC Desire would include the the latest Android release that supports multi-touch in browser and many other applications. It has an optical track pad like in Nexus One to aid navigation. 3.7 inch AMOLED WVGA display with 16 million color support. Qualcomm Snapdragon 1 GHz processor, 576 MB RAM and 512 MB ROM. Inbuilt storage 4GB* expandable up to 16GB via card slot. Accelerometer, proximity sensors and multi-touch. 5MP camera with autofocus, LED flash and High Definition video recording up to 720p. 3G, EDGE, GPRS, A-GPS, Google applications, WiFi, Bluetooth with A2DP, Threaded SMS, Email, Multi-touch and Flash enabled browser, Digital compass, Twitter, Facebook and other social media apps, 1400 mAh battery, FM radio with RDS etc. So the specifications of HTC Desire is almost the same as Google Nexus One. Google Nexus One is currently selling for around 530USD. However, the latest price of the old HTC releases like Hero costs the same in India and few other countries. So on lunch we expect HTC desire to cost around 600USD in US and around 30000INR in India. Overall the HTC Desire is a nice combination of hardware, software and has very admirable design. Updated : HTC Desire is now available at Amazon UK for £528.68. The site says that the product will be released on April 1 2010. On converting with current rates, the unlocked price of HTC Desire in US would be around 800USD. The price seems to be very high on comparing with Nexus One with similar specifications. However, we can expect service providers to come with attractive plans. If launched in India, Desire will cost 36000 INR excluding taxes. Update : HTC announced HTC Desire HD – price and specifications. Update: HTC announced HTC Desire Z- price and specifications. Yeah, Sense was cool on ANdroid 1.6. WIth Android 2.1 the interface got much better. HTC desire is the best phone in the market today if it tags the iphone then it’s the look and the screen resolution. The camera of this phone is pretty decent , Over all I love this phone. I bought this phone from Switerland…. All my friends are crazy about this fun.